Winter time can be a great time. With beautiful white fluff everywhere and Santa around the corner. It can also be a horrible time, that white fluff can cause accidents and makes you have to bundle up to stay warm. When you have a smart phone and need to use it while you are outside in the winter, your hands and fingers suffer. Before you can use your phone, you have to take off your glove, use the phone, and then put the glove back on. SmartTech, has an amazing pair of gloves to help you out with this problem. When you are out and about with these gloves, using your phone is a breeze. No longer do you have to take your gloves off and freeze your fingers just to use your phone. No longer do you have to ignore your calls and messages until you can get to a warmer place. Simply throw on the gloves and you are ready to go. 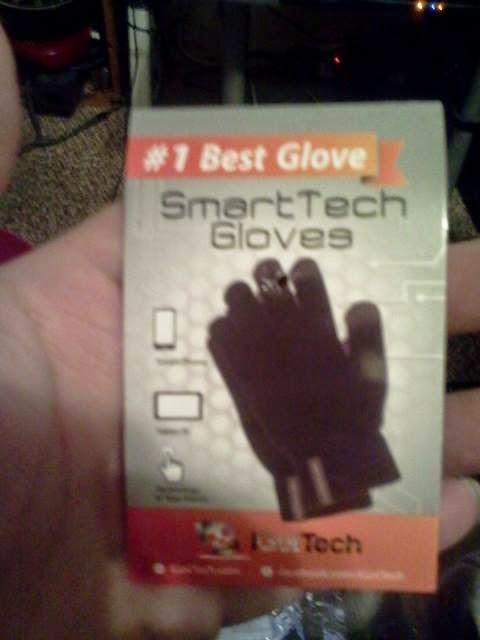 Your smart phone will be able to detect that you are touching it and what you want to do...through the gloves! Now if you are brave enough, you could walk down the street in the middle of a snow storm using your phone. I wouldn't recommend using your smart phone in a snow storm...but you can!! These gloves are very well made. 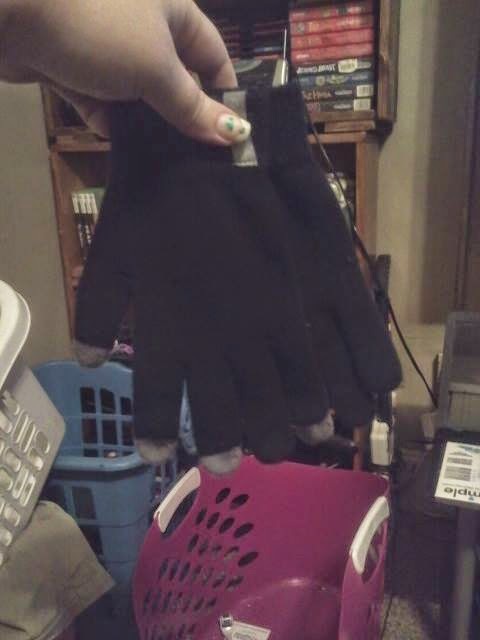 I have had my husband trying them out for me, because he is very hard on gloves. They don't usually last long around him. Smart Tech gloves though, are standing up well to him. They haven't broken out in the finger area or busted out in the palms like the others. Not only do these gloves work to operate your phone with them on, they also keep your hands warm, just like normal gloves! I really like these gloves. They are well made and a great idea for anyone with a touch screen phone. 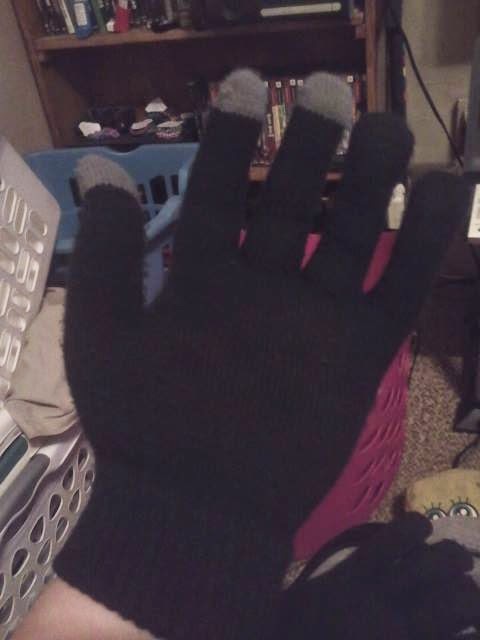 If you live in a colder area, then these gloves will be your best friend! I can now get ahold of my husband no matter what. Since he can keep his hands warm, he is much more likely of answering a text or phone call while he is outside then he was before. Love this idea!! If you or someone you know, needs touchscreen texting gloves, then you need to head on over to Amazon by clicking here. From there, you can learn more about these Smart Tech gloves, see what other people are saying about them, and buy a pair for yourself for less then $9!! Believe me they are totally worth it! I received this product in exchange for my honest and unbiased opinion/review/feedback.